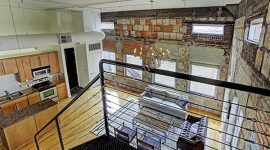 You possibilities with lofts in Houston are bound to impress you. 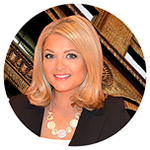 In terms of Downtown lofts 77002, you have so many different options that you can consider. Historic lofts Houston may refer to a specific idea of apartments in Houston, but as you are going to discover, there are tons of gorgeous options under that particular umbrella. 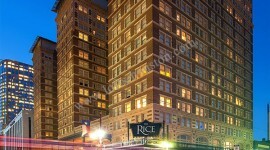 If you are specifically interested in historic lofts in Houston, you are going to love just how much is out there! Hogg Palace Lofts: Beyond the beautiful, exceptionally modern apartments found at this Downtown Houston address, there are several amenities, including a media center and movie theater. The pet policy is quite liberal, and the fact that it was built in 1921 definitely qualifies the building as historic! Dakota Lofts: These Downtown Houston apartments are some of the most beautiful and unique apartments to be found anywhere. Built in 1993, you will find fifty-three units available across four stories, in addition to trash services and vaulted ceilings. The Rice Lofts: One of the great things about this example of Downtown lofts 77002 is the fact that it used to be known as The Rice Hotel. You’re also going to love living in the heart of Downtown Houston, which is one of the major benefits to any of the Historic lofts Houston that you are going to find in this area. The historic crystal ballroom is just one feature to check out. 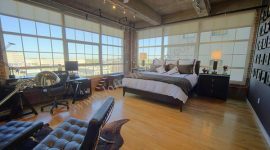 City View Lofts: Located at 15 North Chenevert, City View Lofts offers wine storage, a billiards room, a viewing room, and a variety of essential services. You can also enjoy custom wood cabinetry, a communal kitchen, and valet trash services. Tennison Lofts: In terms of lofts in Houston, this is one of the standouts. Although it was built in 1925, it was renovated just a few years ago. In other words, you are getting a unique building with some great historic features and atmosphere. Located in the heart of Houston, you are also getting an apartment building that will offer all of the modern features you are looking for, including a fitness center, a swimming pool, and all of the appliances you are going to need.